Special thanks to our sponsors: Oracle and Digital Ocean. 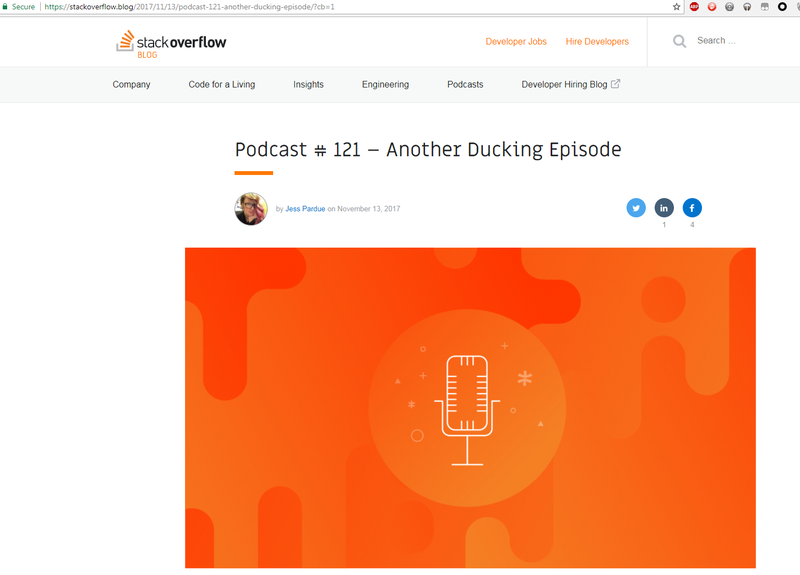 Stack Overflow appreciates Oracle’s support for this podcast and for our community. Learn more about all the ways Oracle supports open source, java, and developers like you at oracle.com/developers. Digital Ocean just launched Spaces – a beautifully simple Object Storage service designed for developers who want a simple way to store and serve vast amounts of data. Digital Ocean thinks developers who try spaces will love it, so they’re making trying it easy. New and existing DigitalOcean customers can you can get a free 2 month trial of spaces by going to do.co/stackoverflow. Our Developer Story is Ben Kamens; longtime friend of the company and former VP of Engineering at Fog Creek and Khan Acadamy, where he was also the first employee. He joins us to chat about how he became interested in programming, some of his philosophies behind engineering management, and wanting to leave Khan Academy in order to work on building something that can help reduce the burdens of disease. He also may or may not have been responsible for the greatest desk-based prank ever, played on our very own David Fullerton. Disclaimer: Ben’s also TOTALLY not Batman. Here’s the video of said greatest desk-based prank ever. Jess, along with everyone else on iOS 11, are ranting about the Apple autocorrect bug. We discuss a new academic paper about How to Ask a Question on Stack Overflow. I’m sure there’s nothing at all confusing about that. Post your thoughts to twitter using the hashtag #stackoverflowpodcast, with either PRO if you think Khan was the greatest Star Trek villain of all time or CON if you’re more of a Q or T’Kuvma type of person. The wittiest answer, whether on the winning or losing side will win a set of SO stickers. Last week’s winner, to the question of candy corn’s edibility, is Adam Rcheimer. Thanks Adam! Look for a DM from Ilana in the coming days. Also thanks to everyone else for listening. Because of the holidays, we’ll only be back for one more episode in 2017. Look for us in mid December. Follow @stackpodcast on Twitter for all Stack Overflow Podcast news! Follow @yesthattom on Twitter, and buy his book about Network Administration! Ben Kamens on Twitter: @kamens. Follow him to see what happens next. We do public data dumps so that people (like the Italian researchers above) can play with the data and come up with awesome things! Visit archive.org for our past dumps. Joel still works here? I can’t remember the last time he was on this show (not in pre-recorded form). They still have the huge images in the posts…get rid of this garbage! It takes up the entire screen on my 1920×1080 monitor when viewed from chrome/Windows… after the stackoverflow top bar and the menu bar, there’s just a giant orange image with no title or text from the actual article visible. SO seems to forget that their users are developers, sitting in front real monitors or laptops, using real keyboards and is using medieval tech like something called a mouse. PRO: If J. J. Abrams, Roberto Orci, and Alex Kurtzman Khan’t think of a better villain to resurrect (again), how could we?